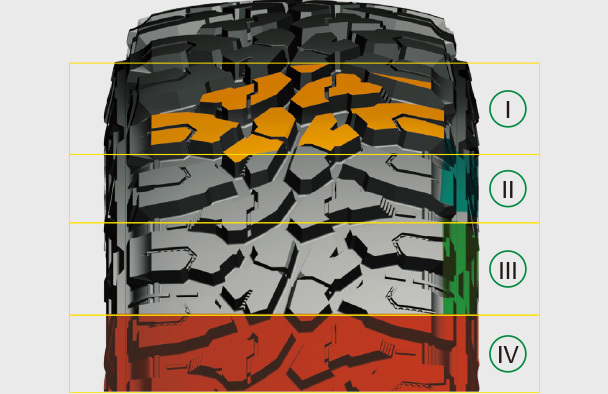 The high void ratio betweenthe tread blocks efficientlyclears mud and dirt from thepattern to provide excellenttraction on extreme terrain. Coupled shoulder blocks andcenter blocks provides an excellent performance on off-roads and paved roads. 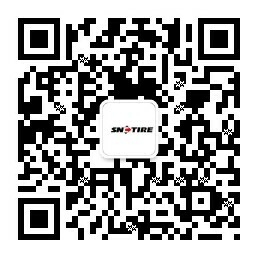 Protecting design ensures tire securityand has a beautiful appearance. 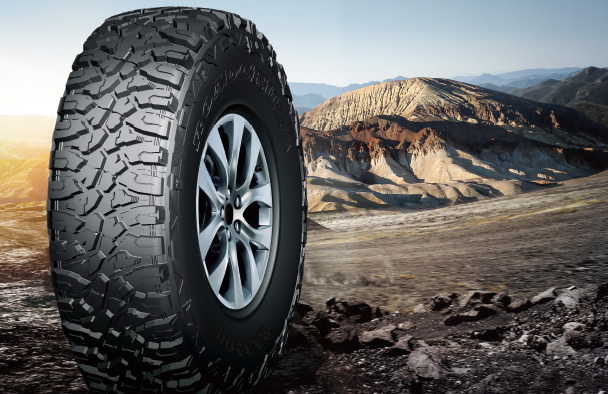 a special mix of natural rubber,highstrength polymersand wear-resistantmaterials provides cut-resistance and strong tread on unpaved gravel roads.